I found myself at a china factory Friday. 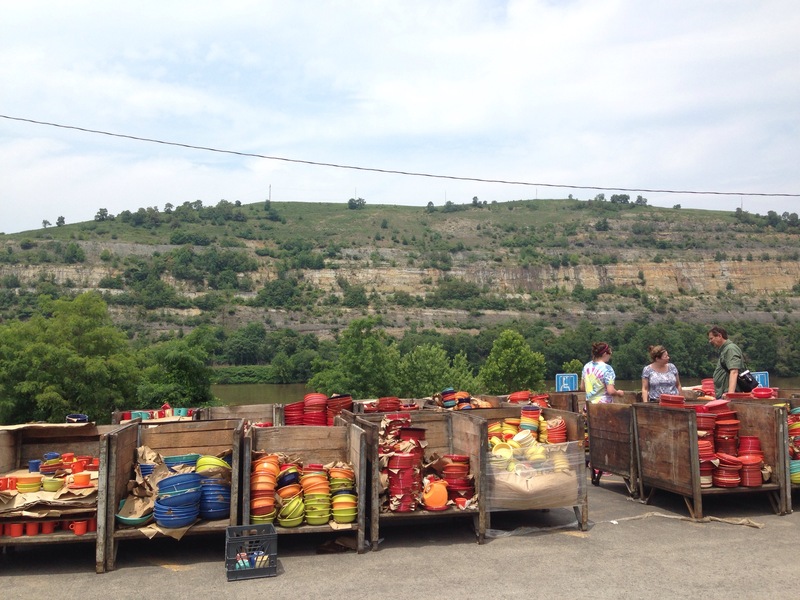 Crossing over the Ohio state lines into West Virginia, there lives a wonderful colony of misfit plates, cups, and bowls ripe for the picking by the careful and patient shopping crowd. This is a place my mother and aunts travel to at least twice a year: a place where kitchen dreams come true. I made the venture on Friday with my aunt. While we were pulling out of her driveway, she ran back inside her home to grab a towel. “We will need this to wipe off the plates.” I had no clue what I was getting myself into. I just knew I wanted what we were going to shop for: new kitchen items. So we took my WANT and her EXPERIENCE and headed out on an adventure. When we got there, I saw bins full of second-hands plates. These plates were deemed “seconds” because of minor flaws in their creation. They had dinks, misprints, coloring errors, fading, bubbles: you name it. Simply put, they weren’t perfect enough to be sold at full price. So customers needed to sift through and find items they would be willing to purchase, flaws and all. I began looking through the bowls, plates, cups, and canisters and I realized one very important truth: I didn’t know what made something “good enough” to purchase. And so I started asking my aunt for her expert advice. She quickly told me I wasn’t choosing properly; I was accepting too many flaws and I needed to look for some key attributes in the plates in order to avoid buying something I would later regret. So then I started showing her all of the dishes I liked, and she proceeded to tell me “yes” and “no” accordingly. This scenario really got me to thinking about how I choose people and activities in life. Am I actively running everything important decision by the expert (in this case, God) or do I simply “add items to my cart” because they look okay and I WANT THEM SO BADLY! I think the answer is glaringly clear to me in this moment: and I believe the solution isn’t so difficult to see either. What do you think? Is this a good one to add to my cart? He will direct me. He will give me wisdom. And most importantly, He will never lead me to add something or someone I will later regret. I got a lot of good and beautiful dishes to add to my colorful kitchen. I’m really glad I listened to my expert’s advice. I’ll enjoy those plates better now, knowing I chose in wisdom with the proper help. Previous Previous post: What Is Legendary Living?